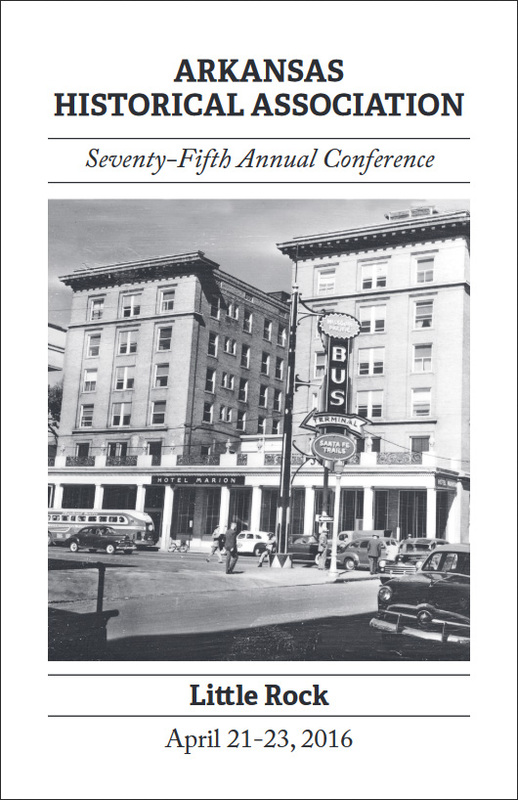 The Arkansas Ozark bluff shelter project was represented at the 75th annual conference of the Arkansas Historical Association in Little Rock. 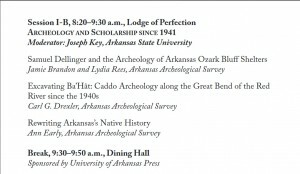 Dr. Jamie Brandon and Lydia Rees co-presented their paper which explored the construction of the “Bluff-dweller Culture” in the 1920s-30s and how, because of intellectual traditional and historical trajectories, this has led to misconceptions of the nature of Ozark prehistory throughout the twentieth century. When early archeologists, like M. R. Harrington and Samuel Dellinger, deployed the “Bluff-dweller Culture” concept, they were collapsing 9,000 years of history into one cultural entity. The modern timeline of southeastern prehistory had yet to be written when they were working in the 1920s and 1930s so this error is understandable. The problem is that it has taken decades to shed the perceptions set up by this older model. 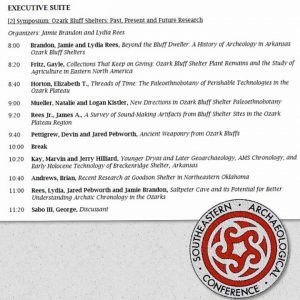 It has led to the idea of a backwards and isolated Ozark prehistory that is not supported by current research. The paper presented at the conference, and which has been submitted for publication aims to counter this older narrative with newer information.